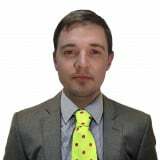 Italy's Alex Vinatzer produced a dominant performance to secure the men's slalom title on home snow at the International Ski Federation World Junior Alpine Skiing Championships in Val di Fassa. 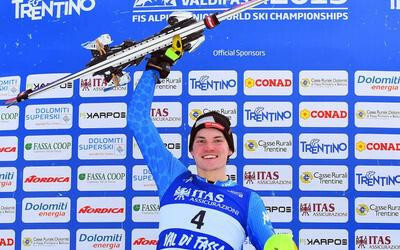 The 19-year-old, a member of the Italian squad which won bronze in the team event at the senior World Championships in Åre in Sweden earlier this month, set the two fastest times to claim top spot on the podium. Vinatzer clocked a combined 1min 46.52sec as he earned a comfortable victory over nearest challenger Benjamin Ritchie of the United States. The American skier was 1.38sec adrift of the Italian after he completed his two runs in 1:47.90. Sam Maes of Belgium secured his second bronze medal in two days as he finished in 1:47.98, a further 0.08 behind the victorious Vinatzer, who was tipped as the pre-event favourite. "Being a world champion is beautiful, I'm satisfied with my race," said Vinatzer. "In the first heat I managed to take advantage of the good bib number, while the second was more difficult. "After the bronze in the team event at the Senior World Championships and after this victory, I do not want to put too much pressure or expectations. "I just want to think about working, with the aim for the next season to arrive in the top 10 in slalom, why not even in the first five? "Here in Val di Fassa the team event and the giant slalom had not gone as I expected. "I managed however to concentrate on my race and to win a title that for me is worth a lot." The Junior Championships conclude tomorrow with the women's downhill event.